All violins at every level are carefully set up in our workshop, including cutting a good quality bridge, supplying a quality tailpiece and ensuring the pegs turn smoothly. The fingerboard and nut are checked thoroughly and we re-shoot the fingerboard where necessary. Violins are strung with either Vision strings or Infeld Blue depending on what works best with each instrument. Violins ideal for the beginning student. All violins at every level are carefully setup in our workshop, including cutting a good quality bridge, supplying a quality tailpiece and ensuring the pegs turn smoothly. The fingerboard and nut are checked thoroughly and we reshoot the fingerboard where necessary. Violins are strung with either Vision strings on Infeld Blue depending on what works best with each instrument. These violins are sold separately and typically we suggest a strong Gewa Styrofoam case from £45 or a Hiscox shaped case at £110. Bows at this level range up to £150. Violins for the progressing student at grade 3 to grade 8. Older instruments are restored in our workshops, and all of these are meticulously prepared for sale. New instruments are carefully checked over before they go out for sale. We do whatever work is necessary to ensure a high quality setup, to make them play easily and to give students the best opportunities to develop their playing. Violins for grade 8 and beyond. We keep a good stock of fine violins from £5,000 and above, and use our experience and expertise to tailor a selection of violins to your specific needs. We keep good stocks of interesting antique French, English, German and Italian instruments and represent several prominent master violin makers. We always like to discuss your requirements and musical ambitions before helping you to select an instrument. A fuller sound at the expense of concert hall projection may be a better choice for an advanced amateur, or an instrument with a focused and very clear tone may be a wiser choice for the developing music student. We keep a good stock of fine violins from £10,000 and above. We keep good stocks of interesting antique French, English, German and Italian instruments and represent several prominent master violin makers, including Steffen Nowak and Simon Peters. We always like to discuss your requirements and musical ambitions before helping you to select an instrument. A fuller sound at the expense of concert hall projection may be a better instrument for an advanced amateur, or an instrument with a focused and very clear tone may be a wiser choice for the developing music student. Violins are made in the following sizes: One-sixth, one-eighth, quarter, half, three-quarters and full size. Stock of old fractional size violins is often limited, but new ones are available. We also rent fractional size violins which is particularly useful for children as they grow and upgrade through the sizes. Our rental violins are the French Sebim model. We stock violins in sizes 1/16, 1/8, ¼, ½, ¾ to rent or buy, along with their fractional sized bows. 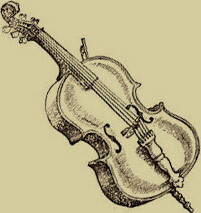 A Baroque violin is a violin set up in the manner of the baroque period of music. The term includes original instruments which have survived unmodified since the Baroque period, as well as later instruments adjusted to the baroque setup, and modern replicas. Baroque violins have become relatively common in recent decades thanks to historically informed performance, with violinists returning to older models of instrument to achieve an authentic sound. Philip Brown is considered an expert in the field of Baroque Bow making and has even been sought upon to relay advice and his expertise including in The Strad. If you want to find out some more information about our Violin range, or any of our other services and workshop get in touch with the team on 01635 35465 or alternatively fill out our contact form.